Easily order lawn mowing and all other Houston lawn services from the comfort of your screen. Robert did a great job on my lawn! He cut the grass very short...just how I wanted. And he did an excellent job edging all around the flower beds, landscaping, walkways and by the driveway . I'm extremely satisfied! Thank you, Robert! Excellent service from Calvin & crew! They are timely, efficient, getting the job done very well! My new neighbor was impressed and wanted to know the service. Thanks for always doing a great job! I appreciate Art's consistency, dependability and attention to details (especially the edging). Thank you! We currently have no rainfall data available for Houston, TX. What Will Houston Look Like in 2020? Which Texas Mega-County Added 248 Residents Per Day from 2014 to 2015? Also known as the rattlesnake master, the False aloe is a flowering perennial in the agave family. A small ornamental flowering shrub, the Autumn sage is part of the mint family and gives a mint aroma off of its leaves. The flower color can differentiate depending on location and breeding. Texas latana is part of the verbena family and has rounded clusters of small colorful flowers. health benefits: Antibiotic, used to treat inflammation; beleived to strengthen the immune system and white blood cell count. The purple coneflower is a showy plant that is well known for it's easy growth and care within a garden. In addition to that, this plant has a few health benefits including acting as a mild antibiotic. Gulf muhly is a perennial grass with tiny feathery flowers in a deep pink or lavendar color. Welcome to Houston─H-Town, Space City, Clutch City, Crush City. How about The Energy Capital of the World? How about NASA’s Headquarters? No matter what you want to call it there’s no denying the sheer awesomeness that takes place here in Houston. Way back in 05-06, we earned another not-so-well-known nickname, “The Big Heart,” for helping our neighbors a state over when one of the most violent storms in US history hit them with everything mother nature has. That compassion, empathy, and resourcefulness really embodies the spirit of our friends and families that make up one of the most diverse cities in the nation. What does that have to do with lawn care? Well it’s no secret that we’re busy people, we work hard here─a booming economy doesn’t power itself. We spend countless hours serving our neighbors and even more in the office, which hardly allows time for mundane tasks like finding a reliable lawn care service. So why not let LawnStarter’s distinguished lawn care professionals put your lawn on auto-pilot? You deserve a break every now and then. If you've ordered lawn care before, you know the hassle. Waiting days for quotes, playing phone tag, and wondering if your grass is going to be cut at all. Not with LawnStarter. With LawnStarter, simply type in your street address and select your service date, and schedule service. 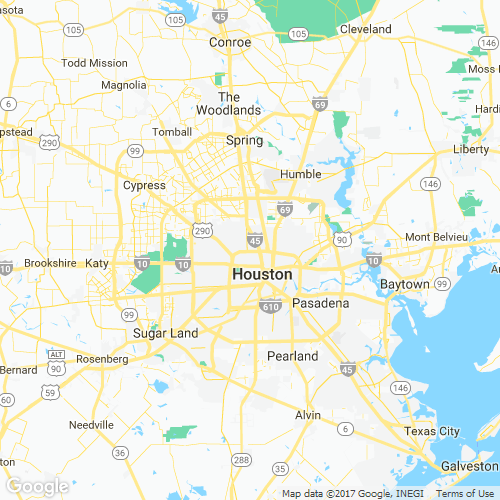 Whether you're in Bellaire, River Oaks, Memorial, Sugar Land, or even the Woodlands, we can take care of your lawn care needs. Not only that, but we'll let you know when service is delayed due to weather, or when seasonal services like fertilization and aeration are coming up. Trust us, your lawn is in good hands. Once upon a time I was a corporate stiff, and found myself longing to be outdoors. So I bought a truck and a lawn mower and got into the landscaping business, and never looked back. From working with LawnStarter over the past year, I've doubled the size of my business and increased my efficiency dramatically. Hope we can work together! My business partners and I have a combined 25 years experience in the turf industry, and I hold a degree in turfgrass management from A&M. My passion is making customers happy and educating them on the science behind their lawn's health. I pride myself on customer satisfaction and going the extra mile. While lawn care is my day job, I also am an avid blues guitarist, rock climber, and father of 2. LawnStarter has truly helped me take my business to the next level so I can afford to spend time and money on my favorite hobbies. Joel has done it again. Thank you so much! Our yard is now perfect for Easter Sunday. As usual, the lawn looks very good. Dapanion was prompt, efficient and worked professionally. We are happy to have him as our lawn specialist. Thank you for coming out on Good Friday. A six to eight foot strip of grass next to the fence by the pool was uncut. It looks too small to fit a mower. Most likely have to use a weed eater. perfect! thankyou Jerry and Vo! Did an awesome job, above and beyond. Manuel goes above and beyond, with his team or alone. He does an excellent job. Awesome job and thoroughly done. Best crew yet. The Lawntrepreneur Scholarship is our way of giving back to the up and coming young entrepreneurs in the Houston, TX area. What happened to my leaves they were all over my sidewalk and now they're gone Chad has cleaned up again very good job . Yard looks great! We are going to pass on the mulch for now. We didn't know it would be so expensive. Our house is on the market so maybe we won't have to mess with mulch. Thanks so much! Yard and bush trim looks wonderful. I'm very pleased with Eli service. We take pride in every job we take on. Our number one priority is customer satisfaction every time! We design and install landscapes, custom fences, as well as interior remodeling.